Never underestimate the importance of good leg protection. In the Gothic Leg Amour, you will not only find a strong defense for your lower limbs, but a historical style that is sure to capture the eye of both friend and foe. This set consists of a pair of cuisses, poleyns, and demi-greaves. 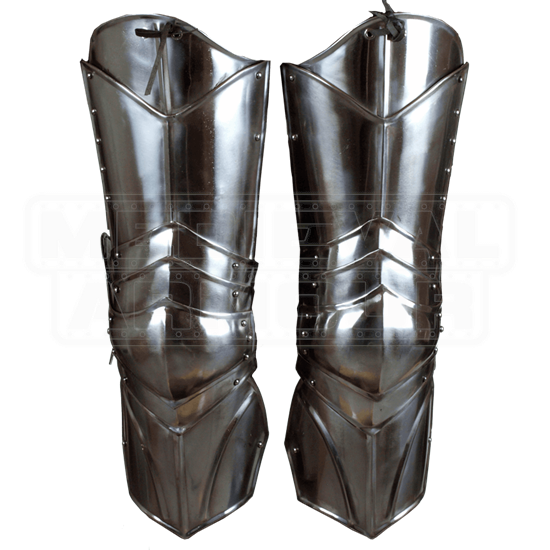 Made from 19 gauge steel, each piece of leg armour features an attractive shiny metal finish. Four overlaying plates form the polyens, increasing the defense and mobility at the knees. A heart-shaped plate extends over the sides. Elegant ridging and riveting decorate the armour throughout, in keeping with the classic gothic style. Fit the leg armour by securing the upper buckle straps to your belt and the three sets of guiding straps to the back of your thighs, knees, and calves. 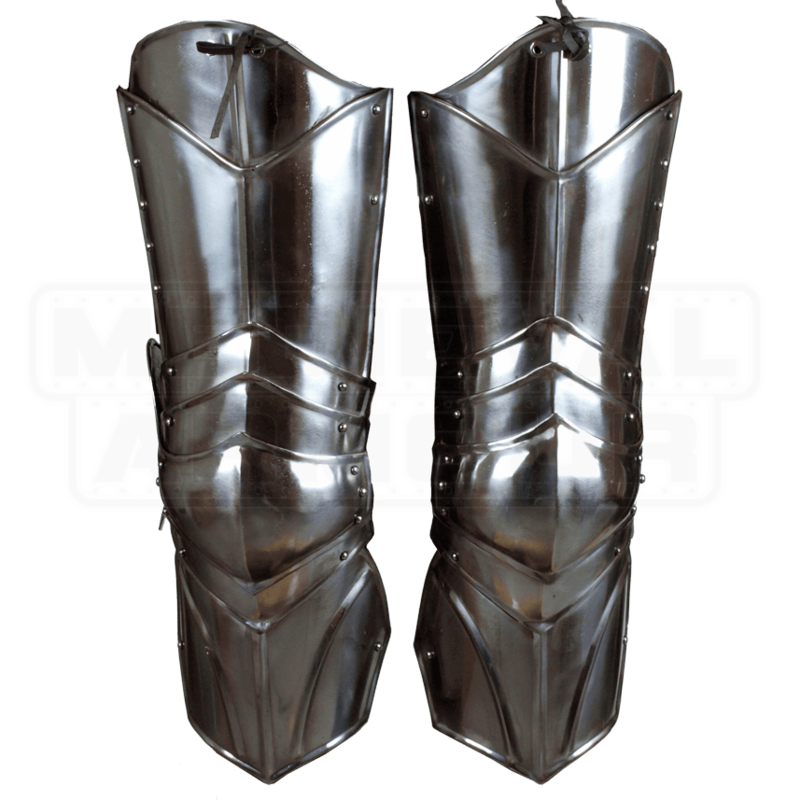 When worn with our other Gothic armour pieces, this pair of Gothic Leg Armour is effective and striking, making it a great choice for any medieval warrior or knight to wear.